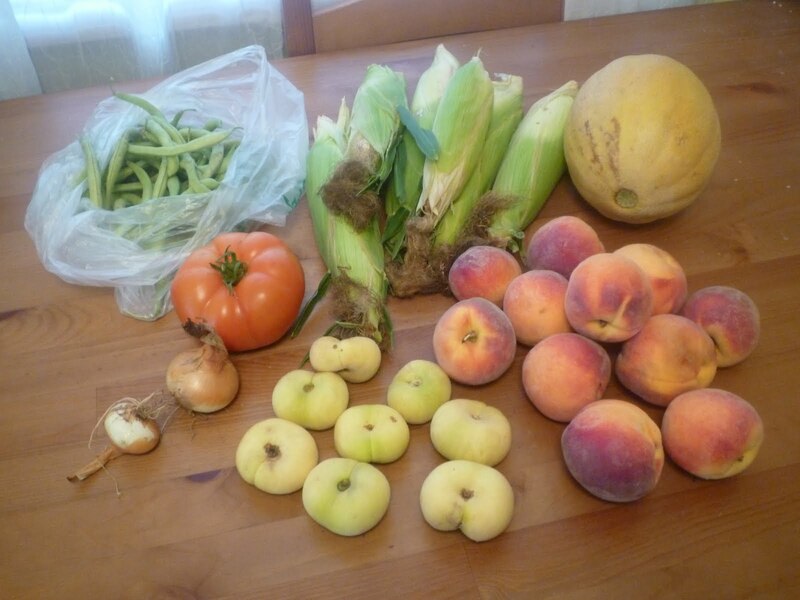 Beans, corn, a melon, a tomato, onions, doughnut peaches and freestone peaches. 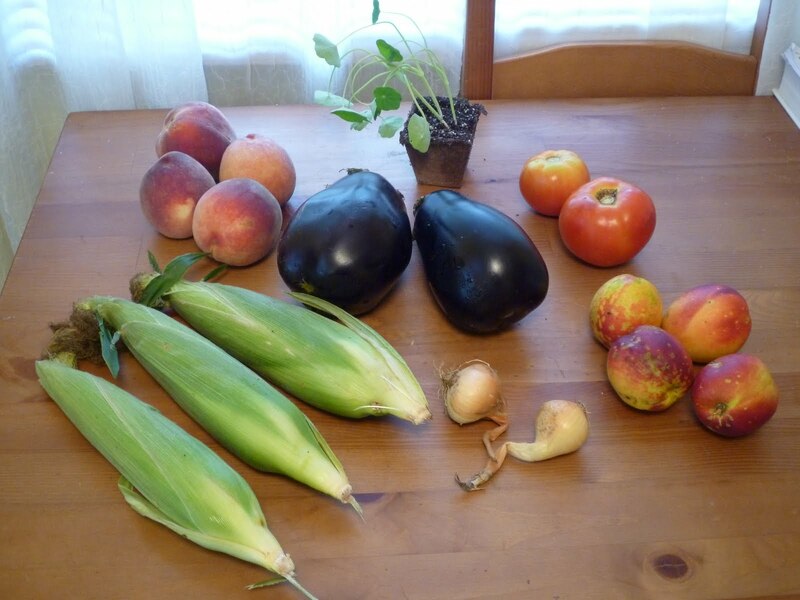 Eggplant, corn, peaches, nectarines, onions, tomatoes, and a potted nasturtium. I’d love to stick around and chat, but in addition to all of that fresh goodness, Joe’s parents brought me peaches from the eastern shore. Time to make some jam (for possible county fair entries)!